Igor Kipnis Interview with Bruce Duffie . . . . . These days it’s not so very unusual to find people playing the harpsichord in public concerts. 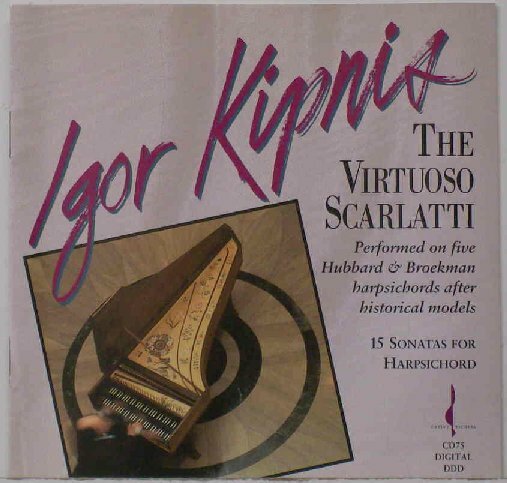 One of the reasons for this is the life-work of Igor Kipnis. He was one of the very few who labored long and hard at this during the 1960s and ’70s, so that by the ’80s and ’90s it was gaining in reputation and popularity. The son of a famous bass, Igor grew up around music but was discouraged from entering into the field as a professional. Needless to say, he ignored that advice and became a singular voice for this neglected keyboard. He learned about the style and perfected his technique so that not only was he in demand, but others were encouraged to learn it and display their talents. As always, his life was very busy, but during a trip to Chicago he found a bit of time to sit down and chat with me about various aspects of his multi-faceted career. The year was 2001, and we were all saddened that he passed away the following January. Here is what was said during that visit . . . . .
Bruce Duffie: Is that the life of a musician, being an Energizer bunny? Igor Kipnis: It depends on what part of the season! [Laughs] Your question reminds me of the fact that an awful lot of people seem to think that my busiest period is just around Christmas time. IK: No, not at all! For some reason, they immediately think that the harpsichord has the most active possible life then — whether it’s Messiahs, or something else. And usually December is a low month. Last December was an exception because I was in Seattle for three performances of all of the Brandenburgs with the Northwest Chamber Orchestra. BD: Do you no longer play Messiahs every year? BD: Is it partly a tribute to you that there are now so many performers on the harpsichord and the fortepiano? IK: I can’t take any credit for that. I’ve been around for a long, long time, and started knowing absolutely nothing about the harpsichord. I sort of had to teach myself, for the most part. I had some mentors, like Thurston Dart, who was invaluable to me, steering me in the right direction. Landowska died in 1959, and I got my first harpsichord in 1957 — due almost to an accident. I had tried a harpsichord in college and liked it, and thought that maybe I would enjoy owning one at some point. Of course I did not have enough money, so my father took pity upon me. He bought me my first TV when I was in New York and had recently married. I was in the Army right out of college, then came back to New York and hacked around — and “hacked” is a good word — in a number of jobs, but certainly not making music professionally. That was not my intent. It was not in the cards. BD: What was your intent? IK: Things of that sort. That appealed to me very much. BD: Did you eventually like getting on the performing side of the glass and have somebody else screaming at you? IK: Oh, yes! [Laughs] I was never an A & R Director — artist and repertoire — but that was what I wanted to do. I wanted to choose the repertoire and sit behind the glass as I just explained. The other thing was radio and television, and in fact I did all of those. I had a radio program on WQXR. I have done a lot of radio work, and always felt very comfortable with a microphone. But working for a record company in some form was what I originally thought I would wind up doing. That came along about a year and a half or so after I got out of the Army. IK: [Genuinely pleased that this fact was known] Very good! This was Westminster Records. I was hired as an Art and Editorial Director, so I was responsible for the record covers. BD: And the liner notes? IK: And the program notes. I had to assign them. I had to proof the damn things and see them to the printers. So I learned a good bit from that. BD: I remember those long boxes that would have the spindle inside with extra bits, rather than just exactly the size of the LPs. IK: They had all sorts of funny little things! I also took it upon myself to invite people from radio stations out to lunch, so I was keeping my fingers into the radio area. I would talk to people in New York classical radio. At that point you had three or four all-night radio programs of classical radio. This is unheard of at the moment. I would take them out to the business lunch, trying to convince these programmers that they should play more Westminster records. BD: Did you want them to play more Westminster records to the exclusion of other things, or in addition to other labels? IK: In addition, of course. I’ve been a record collector since I was fourteen, so this was home territory to me in all respects. But the idea was really to make the most of Westminster. I would send them the records and bring them the records, and take them out to lunch — which also had the tremendous advantage of giving me a free lunch! At a point I was wasn’t making very much, due to the Westminster budget, so one day I took out the record librarian of WNYC, the city station. He knew I had a harpsichord. I had had the instrument about a year and a half because my father took pity on me. He just said, “He doesn’t want a piano, so all right, I’ll import a very inexpensive German instrument for him. It will give him something to do after work instead of vegetating in front of the TV.” He was quite right! I was the typical couch potato at that point. So I practiced instead of watching television. I went over some of my old pieces and gradually got a little more strength in the fingers. I began adding a little bit of repertoire and rather enjoying it — essentially being self-taught, although I did have a lot of help. So this fellow from WNYC knew that I played the harpsichord and said, “Why don’t you do a program for us?” That started it. BD: That was before NPR existed. IK: Right, but it was a non-commercial station. Then, as now, they didn’t have any money, so they didn’t have enough money for me to have the instrument conveyed to the studio. I was living somewhere on the north side of Greenwich Village, so I conned one of the Westminster engineers into coming to our apartment! We rolled up the rug for ambiance, picked a weekend when there would be less traffic on Seventh Avenue, turned off the radiators so there would be no knocks, and then I had my first recording session. That was duly broadcast, and there was a young conductor who called me up about a week after that and said, “Hello, my name is Norman Masonson. I’m the conductor of the Greenwich Village Civic Symphony. For our next concert we are doing the Fifth Brandenburg of Bach. Would you be interested in playing the solo part?” I was too dumb, really, to realize, even though I played the piece, that this is not such an easy thing to do, so I said, “Sure, why not?” That was my live debut. BD: And it all snowballed from there? BD: Are you pleased that you stayed with harpsichord and fortepiano, rather than going to the regular Steinway? IK: The only times that I did anything with a Steinway, or whatever the equivalent instrument make was, was right at the beginning when I thought that maybe it would be good for finger-strengthening. To just work on technique, I assumed it would be perfectly all right for me to practice on the piano and then attack the harpsichord, and I began to realize that doesn’t work so well. On my first trip to Europe in 1967 I took my own harpsichord with me. I had a big, beautiful eight-foot long instrument. I was afraid to play instruments that were different from mine because I began to realize that the spacing is quite different from one to the other. The feel is different, the registrational possibilities and all of that is different. The trip across the Atlantic was on a boat and was a wonderful, vacation-type getaway, but I had a regular routine and I was expecting to practice. The instrument was in my own car which I was going to drive all around Europe, making debuts in various cities. But they couldn’t get at the instrument. They promised me that they would take it out of my VW bus, and when I found out from one of the ship’s officers that they could not get to the bus, I really panicked! I said, “But you promised!” Finally I asked, “Do you have a piano?” and they had a piano in the so-called taverna, in the tavern. IK: So I took it leisurely. I would practice from about eleven o’clock until three o’clock, with sufficient breaks. At three o’clock they kicked me out because they would have a dance class, and at that point I would have a sauna and a swim and just generally take it easy. But I was afraid that if I didn’t practice I was going to be in serious trouble, because once I reached England I had a recording session with the Academy of Saint Martin in the Fields, consisting of five concertos — three Bach harpsichord concertos, a Haydn concerto, and an earlier Mozart Concerto, K.271. And about two days after that, I had my debut at the Wigmore Hall. So that was really about the last time that I was involved with a piano. I did make a recording for Kapp Records, a very funny album called Toys + Orchestra = Musical Fun. It had the Leopold Mozart Toy Symphony, and something by Karl Reinecke called A Children’s Symphony which had a piano obligato. So I dragged forth my “Schnabel” tone as best I could. It was a lot of fun, but other than that, I didn’t touch the piano at all over all of those years — decades — except if I was doing a master class. I did many master classes where there were nothing but pianists, which is what you would expect. There are not that many harpsichord students even these days. BD: Are there more now than there were? IK: No, there aren’t. There are not that many harpsichord students, except in certain centers such as the San Francisco Conservatory or Indiana University. In New York, I would doubt that there are more than about three students at Manhattan or Mannes or Juilliard; three in total, or maybe four maximum. BD: I would think with the whole Baroque movement that is going on now there would be a few more. IK: The problem is that in order to be a harpsichord major, or at least to get interested in the instrument, you have to have the instrument. If you’re hooked up to a school you can use that instrument, but it’s not as though you have an upright piano to work on. So that means a certain amount of money. Secondly, we are living at a time when, unfortunately, recitals in all forms are zilch, with the exception of absolutely top names. I don’t believe that Yo-Yo Ma is suffering any. IK: He can draw the very, very big audience, but we’re talking about a harpsichord which tends to sound very esoteric. Groups are something else. You can do very well with a group, and a lot of harpsichordists who began with solo careers formed or joined groups. Trevor Pinnock is a very good example of that. He plays very little solo harpsichord; he conducts his group, his orchestra, which is a very fine one, and he does marvelously with it. He’s an excellent harpsichordist. But how many people want to hear a harpsichord recital? They think it’s boring! BD: How do we combat that perception? IK: Programming is very important. I love programming to make something palatable for an audience. BD: In your career, you have obviously played the old music, but you’ve also included new music. BD: What about John McCabe? IK: That’s a difficult problem, and I’m awfully sorry to admit I never played it. I shouldn’t put it down; I don’t know what happened to the piece. The difficulty was that I didn’t like it so well, and I never could relate to it. BD: Did it go to someone else? IK: I don’t believe so, but those things do happen. Landowska was the person who premiered the Manuel de Falla Harpsichord Concerto, but she never recorded it. She played it in the United States with the Boston Symphony, but after a certain period of time she didn’t play it anymore. I don’t think that she felt that it was soloistic enough — and it’s a tough piece. BD: Didn’t Daniel Pinkham write something for harpsichord? IK: Oh, lots! Lots of things. BD: Do you have any advice for a living composer who would like to write something for the harpsichord? IK: There have been a lot. There’s a book that is a catalog of harpsichord and clavichord music published by Fallen Leaf Press, which is in Berkeley, California. It is six hundred pages, plus. It’s astonishing and it shows every possible way the harpsichord has been used — in combination, as a solo instrument, in concertos — everything that you can possibly think of. It lists a lot of pieces from the very early part of this century. A lot of people think the harpsichord is of relatively recent interest, when in fact the revival is well over a hundred years old. I have played some of that early material. There’s a piece by Frederic Delius — hardly the first piece since it dates from 1919 — but it is absolutely impossible to play! When I play it in concert and I can talk to the audience, which I often do, I tell them I’m never sure that I’m going to get through this thing! I remember one time early on in my career, I finished the concert and a woman came back in the green room and sort of accosted me. She said, “Tell me, don’t you miss the pedal?” meaning the sustaining pedal. Of course the harpsichord doesn’t have a sustaining pedal. I think I was too dumbfounded at that point to come up with a decent explanation other than, “Well, you know, Bach didn’t have one of those things. It’s on the piano.” But no, I don’t really miss it. However, when I would play the Delius, I’d tell the people I do miss having the pedal. There you would need it. But it’s a neat piece; it’s just bloody impossible! BD: Do modern composers who are writing for harpsichord really understand it, or are they just writing for a keyboard and hoping that the plucking action is better than the hammer action? IK: That’s a good question. There have been pieces written in the twentieth century in virtually every style. There are certain acoustic problems, which I think is the greatest problem for composers to understand. It does kind of an acoustic nosedive. A lot of the registration changes that people like Elliott Carter have asked of the instrument are wonderful when you are right on top of the instrument, but if you’re ten rows out you’re not aware that there really has been that much of a change of registration. This is one of the hardest things to understand. Then of course, you have to realize the harpsichord is not a piano. No matter how hard you hit the thing, it’s not going to get louder. You have to do many, many things for expressive purposes entirely with your fingers. It is in the general area of touch — which sounds as if you touch it hard it’s going to be louder, but that’s not what I mean. “Touch” really implies articulation; that is how long and how short a note can be. BD: Isn’t the finger-technique more like an organ? IK: Yes, but the sound dies away very, very quickly. Texture, sometimes, is very difficult. Can you actually distinguish pitches in a very dense-textured piece? It’s very hard, and sometimes that doesn’t work. There are certain styles of neoclassic-type of music which would seem to lend themselves very well to the harpsichord, but very often those don’t have an awful lot of emotion. I would like a piece that has emotion to it. In the case of somebody who doesn’t understand the instrument, thinking of it as an instrument that can express principally by means of dynamics simply doesn’t work. You have to know how to accent with the instrument, and not just play it as though it is a computer keyboard. BD: So that’s the release and the attack, not just the attack? IK: Yes. It’s not only when the key goes down, but especially when the key comes up. “Touch” also deals with holding notes beyond their normal value. Sometimes what would absolutely smear on a piano doesn’t work that way on a harpsichord. You can even make it crescendo, which ostensibly is impossible. It’s a fake increase of volume. When you play a chord, if you play the notes of that chord individually and hang onto them for dear life, it will sound louder than if you happen to play those same notes separately. For want of a better word, there are a lot of tricks, but this is part of the technique. BD: But every instrument has tricks. The left-hand trill on a violin is a trick. IK: Oh, sure, sure, sure. I was talking earlier with Irwin Weil, who is a professor of Russian lit at Northwestern and a very, very old friend. We were talking about Shostakovich and some of the people that came after. Shostakovich wrote for the harpsichord in one piece — background music for the film Hamlet in 1964 or ’65. It is as powerful as the Eighth Quartet! That’ll give you some idea. IK: I’ve played that with the orchestra because it has a very prominent harpsichord obligato, and I’ve told the audience that they really need to take Valium before they start listening! IK: Alfred Schnitke wrote a good bit using the harpsichord, generally as a subsidiary instrument, as a color instrument, but there is one solo harpsichord piece, and I play that. It’s very short and it is just absolutely wonderful! Very refined; it sits up on the air and it’s mystifying to listen to! But it’s a great piece, as short as it is. Three Fragments is what it’s called. It was written in 1991 and I enjoy playing it very, very much. BD: You were talking a little bit about technique. Is it your job to make this technique sound in a musical fashion? IK: Yes, yes. Of course, everybody’s got a different style, a different way of performing. There are people that are more overtly emotional; there are some that are more overtly unemotional! [Laughs] They tend to be rather dry performers who would prefer to forget about the nineteenth century. I’ve always enjoyed almost every area of music. About seven years ago, I met a young woman named Karen Kushner. She had recorded Chopin mazurkas for a company called Connoisseur Society. I’ve been reviewing records, believe it or not, since 1955. I have a huge record collection, and I love the Chopin mazurkas. I was on tour and had a portable CD player with me, and while waiting to be picked up to go rehearse, I heard these two CD’s of all the Chopin mazurkas played by one Karen Kushner, whom I didn’t know from a hole in the wall. I love the mazurkas, and I was bowled over! I had a chance to write about that recording in Stereophile Magazine for what became a yearly feature called “Records to Die For.” I had a choice that first year of four different items, and hers was one. It was that good! IK: She wrote me a thank you letter, and I met her roughly a year later. We got to be friends and began playing together purely as a lark. When we sat down, we found that we got along well musically. There are several composers that we both adore, including Brahms, Chopin and Ravel, and approximately a year later we made our debut with a full-length program! That has gone on through today. BD: So your fingers met and your hearts met. IK: Yes, absolutely. We both enjoy playing to each other; we listen to each other. She is a fabulous teacher. She’s now at the University of Missouri in Kansas City, at the conservatory, teaching piano and piano lit. I’ve learned a great deal from her, because I was out of the piano racket for such a long time! BD: I understand you also play clavichord and fortepiano? IK: First came the harpsichord. Then at one point, one of my mentors, Thurston Dart, knew that I was getting a clavichord. The clavichord is a very, very soft instrument, but it does have dynamics. So all of a sudden I was able to put in dynamics — not because the harpsichord was in any way lacking for expressive possibilities, only that here was something else. When it came to repertoire, some things worked beautifully on the harpsichord and sound terrible on the clavichord, and of course, vice versa. And some of the clavichord repertoire appealed to me very much. In 1980 I got my first fortepiano, and was very, very lucky in that it was an actual antique — the only antique that I owned. It was a 1793 instrument made by the Gravener brothers in Dresden. BD: So it’s not a reproduction, it’s the original thing? IK: It is the original thing. BD: It’s been repaired and restored? IK: Oh yes, it has been restored. It definitely needed to be restored. There was some thought that Ethelbert Nevin, or the estate of Ethelbert Nevin, owned this instrument at one point. So when I made by debut, which was in Indianapolis, as an encore I played The Rosary by Nevin. BD: They’re going to start tracing harpsichords like they trace violins! We know where every old violin has been. IK: Since ’81 I have done a lot of fortepiano. The clavichord I’m playing, the harpsichord I’m playing, and for five or six years now, piano-four-hands, plus on occasion, solo piano when I’ve done some chamber music. At the beginning I felt like a fish out of water! What is this thing? Strangely enough, an awful lot of it came back, pedaling included. I learned a great deal from Kushner, and I picked up enough so that I’m comfortable with it. We both have entirely different styles. She has worked with several big-named teachers. When we play together it’s musically the most equitable thing you could ever imagine! But she is very flamboyant. Her arms and elbows sort of go out, and I’ve got to watch it. In contrast I am much more harpsichordistic. I play like a horse with blinders on, and just move my fingers. But I’ve also learned to raise the arms and try to get a good sonority out of the piano. BD: I would think you would need to do more because you would have to match the tone. IK: We have to match exactly, yeah, but visually it’s two different people. When playing piano four-hands, everything has to be choreographed. People don’t realize that. There are certain judgments that you have to make, like getting out of the other person’s way when picking a note which the composer inadvertently — or perhaps deliberately — gave to both parties. There might be a middle C in the right hand of the person on the bottom and also in the left hand of the person on the top end. BD: You should divide it so some nights you’ll play it and some nights she’ll play it. IK: [Laughs] You try to work it out so that you don’t have collisions. In general, the person on the bottom does the pedaling, but even that occasionally we switch. It depends very much on the way the music is written. BD: I recently saw a duo-concert with Daniel Barenboim and Radu Lupu, and I think Barenboim did all the pedaling — even when he was playing the upper part. IK: Barenboim did the pedaling. They switched places, but Barenboim did the pedaling. I heard them in Carnegie Hall. I don’t know what kind of a critical response there was, but I wanted to hear what these guys do because they were playing our repertoire. Not exclusively, but we have been playing all-Schubert programs, and that is tough stuff. It’s difficult in many, many different ways, such as balancing and working out the phrasing. BD: I assume that these things were written as Hausmusik. IK: Yes, they were Hausmusik. There was a review in the New York Times by one of the chief critics, that I and quite a few other people took offense from because, for whatever reason, he felt this is really music to be heard not only heard in the home, but to be savored principally — if not exclusively — by the people that are doing the playing. BD: So he was saying it was a very private thing and it should have been kept private? BD: Well, is it right that we bring something that was written for an intimate setting into a hall with three or four thousand people? IK: I think that depends entirely on the hall. I was lucky to hear Lupu and Barenboim at Carnegie from the fourth row, where of course I could watch all the pedals and everything else! I talked with a number of people, including the ones who were in the balcony in the back, and they said it was kind of a mooshed sound. So perhaps Carnegie or Orchestra Hall is not the best place. BD: I heard it in the lower balcony, but the sound is very good there and I felt that the middle of the piano was fairly clear. IK: It can sound thick. You have to be very careful with the pedaling. You have to listen to the other person like crazy. They’re fine performers, but it was very interesting for me just to see how they handled it, and what they did. BD: You say they’re fine performers. Are you a fine performer? IK: [Laughs] That’s a difficult thing to answer. I perform as well as I possibly can. I try to do all the things that one is supposed to do. If we’re talking about duo, I try to be as equitable as possible, especially in the choice of pieces so that we have good contrast. There are times when I will introduce a piece to Karen, and if she doesn’t like it, okay, we don’t play it. BD: What about solo works? IK: Playing solo, of course, you’re on your own. It’s interesting... My father was asked at one point what he preferred — opera, or lieder programs, or a solo recital. He preferred the solo recital because he was his own boss. He picks the program; he does songs or arias that he particularly likes. He doesn’t have to necessarily interact with somebody else — a prima donna or a conductor. IK: What can you say? Sometimes you can have a great conductor. I’ve been lucky with some conductors that I’ve worked with — Pierre Boulez, for example. I wouldn’t trade that for anything! Or Leopold Stokowski, for that matter. BD: Two conductors at the opposite ends of the spectrum! IK: Oh, completely! But I think the world of them. I’ve also had conductors that I wouldn’t give you two cents for. BD: And we don’t need to name them. BD: We’re kind of dancing around it, so let me ask the real easy question. What is the purpose of music? IK: That is not a difficult question for me to answer. Music is my religion. Really, it is as simple as that. I want to communicate the music, and my attitude in programming is communication. In the very best sense of the words, I want it to be entertaining and varied. I want to be able to lift something up. You can get philosophic; you can talk about the spiritual, but the main thing is that people should enjoy it. I decry the lack of classic music, although I mentioned not very long ago the solo harpsichord situation. Nobody wants to go hear one. They think this is a boring thing. It doesn’t have to be boring. I like personality in performance very much. That doesn’t mean that you have to exaggerate. BD: When you speak of communication, are you communicating the composer, are you communicating yourself, or an amalgam of the two? IK: I think it has to be pretty much an amalgam of the two. You learn the piece and hopefully you don’t play that piece like somebody else. Something that is cloned would be very, very boring. We’ve gone through swings in performance styles, all the way from the last romantic vestiges of the nineteenth century and a considerable amount of exaggeration where the score was not very sacrosanct, to the point that we now have gotten to where a quarter note is exactly a quarter note, not less, not more. You have to observe every marking. BD: So is it swinging back a little bit now? IK: It has swung back a little bit, but in so doing, a certain amount of exaggeration has come in. One of the things that is quite typical is in the interest of profundity. I may be stepping on toes here, but I can back it up. Some performers think that a slow movement is going to be much more meaningful if it is slower. I can give you a little bit of chapter and verse on that. Harold Schoenberg, whom I’ve known for a long, long time, was the critic for the New York Times. He is a piano specialist, and he wrote a book called The Great Pianists. He is marvelously knowledgeable and really feisty! He says that when he was reviewing he would keep a documentation of the timings, and he’s found over the years that things have gotten slower. Now I would say that has to be modified a little bit. Some things have gotten much, much slower, especially slow movements. Fast movements, on the other hand, have gotten a lot faster. BD: Perhaps the amount of time would shift a little bit here and there, but does the shape of the piece change along with that shifting of time? IK: In some cases, yes. Sometimes it’s perfectly beautiful to listen to, and sometimes it drags like crazy. BD: Even though it has shifted in time and in shape, is each performance satisfying? IK: Molto, molto, molto largo, played by Sviatoslav Richter, who is very much admired for many, many things, including his Schubert. Frankly, at that drag tempo, although it is perfectly beautiful, that’s not what Schubert wrote. So, what do you do? IK: Well, who is the composer? I think you have to pay some attention to what the composer asks for. You can change what the composer wrote, and after all, a lot of performers, including the composers themselves, changed their own markings. But this is very clear. It was published, and the marking was allegretto. You’ve got a certain amount of leeway, but this is just devastatingly slow. If you listen to it by itself and not know the music and not know the marking on it, you would say, “That’s gorgeous. That’s some of the most beautiful Richter playing that I have ever heard.” And so it is. BD: So then Schubert’s happy? BD: [Pouncing on the pun] It’d be more moving if you moved it along??? IK: My maternal grandfather, whose name was Heniot Lévy (1879-1945) with an acute accent on the E — I think that’s so nobody mistook him for a pair of pants — was the head of the Piano Department and a Co-Director, of the American Conservatory in Chicago. He got a job there as a piano teacher around 1905 on the recommendation of Leopold Godowsky, and he stayed there teaching until he died. I used to play under the piano at my grandparents’ whenever my parents would deposit me and they’d go off on a tour. I would stay there for long periods of time while he practiced Chopin Etudes. So you see, all of that piano feeling suddenly has come back. I’m having the most marvelous time playing this incredibly rich repertoire of piano four-hand music, which I never knew. I listened to it, but there weren’t that many recordings of four-hand music. So I’m now doing it, and not feeling at all uncomfortable with this very large black instrument with three legs! I’m absolutely loving it. IK: I also review records for something like six different publications, including two that I’m very, very fond of. They’re both British, and they used to be offshoots, satellites, of The Gramophone. One was the International Classical Record Collector, which is now called the Classic Record Collector — it’s a quarterly — and the other one is International Piano Quarterly. Both of those come out of England and are now published by Orpheus Publications. They also publish The Strad, so you know they’ve got some good stuff. BD: In general, do you like what you’re hearing these days? IK: Mostly no, and the ones that I really like are the historical re-issues. That’s my great area. BD: Why don’t you like the new pianists? IK: I think there are some remarkable talents. For example, I would want to listen to anything that Martha Argerich has recorded, or hear her in person because she’s something just separate from anything else — as Horowitz was. In others I hear a lot of exaggeration. This is not throwing brickbats too much... Yes it is! Okay, I’ll come out with it. I was sent a record of Mozart by this Turkish pianist, Fazil Say. I was not at all tickled by that! I thought he did the most weird things. He built the dynamics way past anything that would be permissible. BD: Is he just trying to stand out from the crowd by doing this? IK: Well, obviously he isn’t doing this to show off. He must believe what it is that he is doing, but stylistically it’s off the wall! I did not want to listen to his Bach record, for obvious reasons. I did listen to his Gershwin, and there’s some interesting stuff there, but I wasn’t bowled over by it. On the other hand, I also heard The Rite of Spring, which he does in the four-hand version. This involved a lot of overdubbing and even prepared piano. That’s a knock-out! It’s very good! It’s startling, and I know it because I have played it! BD: Then should he stay with orchestral transcriptions? IK: Maybe, maybe. But with the earlier stuff, I take offense at some of the exaggeration that I hear — the slowness in certain cases, or the speed demons. I don’t go for just a moderate tempo; it can’t be too fast, it can’t be too slow. Not at all. I think music has to have excitement. It has to project. BD: So you still look for the individuality? IK: Absolutely! But the individuality at least should be within stylistic bounds. That’s all I want. I have a lot of favorite pianists, and it’s only over the last five years or so, that I began to realize that those pianists had an influence on what I’m doing now. Before that, I couldn’t apply it, even though I loved it. I do think, for instance, the harpsichord has the possibility, and ought to be able to sing. Maybe that comes from my father, too. Some of the pianists that I particularly love include Benno Moiseiwitsch — he is a god; Alfred Cortot, Edwin Fischer, Schnabel, of course, Dinu Lipatti. These guys are all dead and gone. Fortunately, there are recordings — in spite of the scratch. I really don’t condone people that say, “It’s got all of its noise which I can’t separate from the music.” I think it’s very easy to separate the noise from the music. Suppose we had an open window here. We’re talking into the microphone and it was raining outside. After a moment, you wouldn’t even be aware that it was raining, unless I happen to mention, “It’s really raining cats and dogs.” At that point, yes, you would hear all the surface noise. BD: Do you enjoy making recordings? You’ve made a number of them. IK: I’ve made, at this point, I think it’s eighty-three records. That’s disgusting! IK: Well, that’s a lot of records! Out of those, something like fifty-six are solo. This is such a bad period for records because the big companies don’t want to make anything unless it is going to sell huge quantities — ten thousand copies. I don’t know that I’ve ever sold ten thousand copies of anything. Maybe over quite a few years, but the record company’s not willing to wait long periods of time. They’re interested in crossover. I’ve even gone into crossover. On the harpsichord I play a number of things. I get into jazz, written jazz. A number of pieces have been written for me — Saint Louis Blues, for example. Things of that sort are great fun, and surprise people how well it can sound on the harpsichord. So I’m not against that at all. Conversely, the smaller companies don’t have the money! So it is a very different ball game, and it’s very depressing. But you asked if I like making recordings. It’s a hard business. Do you know Die Meistersinger? BD: Eventually, though, do you get it all right? IK: Hopefully, with some good editing. I’ve never been that clean a player. There are tremendously clean players! Strangely enough, not so many on harpsichord. Landowska was a fabulous technician. You can hear that on her seventy-eights. She was absolutely amazing, regardless of what you think of her stylistically, or the instrument that she played. She was a fabulous personality and had a fabulous technique. There are some very fine players around now, but sometimes one hears mistakes. It’s a very easy instrument. You are not covered. You can’t cover yourself with a pedal, and you can’t hide. BD: Some of those pianists that you were mentioning before — Cortot and the others — would make mistakes even in recordings, but they’re wonderful recordings. IK: Yes. They projected and they sang, and they were able to shape the music. That is what you don’t find so much today. I hear a lot of records, but also live performances and master classes. There are so many areas that teachers somehow don’t get into. Not everybody is going to be a super duper performer on the piano or the violin, or anything like that. But there are expressive deficiencies, and for that maybe it just takes a good teacher to bring that out. That’s very hard to do in a master class. Karen and I had one at Lake Forest today, and these were not professional performers. They weren’t going to go into it as a field, but obviously they enjoyed what they were doing. You can only suggest a few things — get them to try it over again with a suggestion. You work with a person maybe fifteen, twenty, twenty-five minutes, and you hope you stimulate a little bit. But that isn’t always happening. If you think of the competitions that are going on, and the judges, and the type of performers that the judges would favor, that is very middle of the road. BD: So that’s what the contestants try to be. IK: Plus the fact that the kids are in their practice rooms at Juilliard or wherever, eight hours a day, which really isn’t necessary at all. They don’t really believe that it’s very important to take courses other than music, and to broaden themselves by learning about all kinds of other areas, whether it is literature or art or whatever. BD: In spite of all of this, though, are you optimistic about the future of music? IK: I’m not so optimistic about the classical end. This is very worrisome to me. This is a tough question to get into because it involves so many different aspects. I have played concerts in a college for example, where the audience might be miniscule. The audiences now are much smaller than they used to be several decades ago, no matter where they are. If they’ve heard of the person, it’s fine. If they haven’t, why should they go? And if they go, very often they have to go because it’s required of a course. Then it comes under the heading of education. It’s not because it’s good for you or you might enjoy it or you learn something from it, it’s because you’ve got to get your program in your hot little hand, and you can jolly well leave at intermission because then you’ve got your affidavit that you’ve been there. Then you can graduate, and obviously get a job and make more money. That’s a gross simplification, but the fact is, it’s almost too late in college. It’s an accident when somebody in college gets hooked on classical music. The times that one does get hooked on is partly, I think, a commercial feat — a movie score which catches the imagination. So you buy the movie soundtrack and maybe, conceivably, you might be interested in what else that composer wrote. I think you have to start young, but with the cuts in education — especially in arts — you don’t have too much of a chance. We’re not going through a great period at this point. BD: Then is it good that we have a lot of these flat plastics for future generations to rediscover? IK: God knows! If they’re around, if they’re kept long enough, as opposed to disappearing from the shelves, because they’re not selling. BD: But there’ll still be relics around. BD: Or is the horse looking for something besides this kind of water? IK: Yeah! When Karen and I started touring, [photograph at right] we began doing outreach programs. That’s sort of a magic word. Lots of people are into this — providing there’s some money to pay for it, because you can’t really always do it for nothing. It’s not an expensive deal, and we’ve been doing this for five years or more. In general, we’ve concentrated on fourth, fifth, and sixth grades. BD: That is a very good time to get them. IK: This is a good time to get them. We give a forty-five minute program. We’re doing one here on Saturday morning. This is part of the deal at Northwestern, which is very, very good. They’re starting with three-year-olds, which is a little bit difficult. BD: That’s a little young. IK: Three-year-olds by themselves wouldn’t be bad, or three and four years old, or five years old. But to mix three and up to maybe seven, eight, nine years old, that’s a little bit tough because you’ve got to attract all of them. We try to put a program together that’s going to keep their attention and is going to involve them. I’ll give you one example. One of the pieces that we do is a piece by Haydn called Il Maestro e lo Scolare, which is The Master and the Pupil. It’s a very simple and simple-minded piece where the master sits on the bottom of the keyboard and plays, and by rote the upper person copies exactly. BD: You play; she plays. You play; she plays. IK: Exactly. We also came up with another thing. The piece is known; it’s usually not played because it’s so dumb. It’s a set of variations. We play the theme and the first variation, and then make the kids vote on who is going to be the teacher and who is going to be the pupil. That is how to get involvement, and this they love! They vote, and sometimes I am the pupil and sometimes Karen is the pupil. It works in very funny ways. BD: [Laughs] Just as long as it’s not like Survivor, and they vote you both off the platform! IK: [Laughs] I would hate for that to happen! It hasn’t happened yet. Sometimes the kids have enjoyed it so much that they want us to reverse it! The funny part of it is that the kids enjoy the flaunting of the authority, and the authority, of course, is the teacher. The pupil can cut up like crazy! At a Connecticut private school, the kids voted that Karen was going to be the pupil. A photographer from the local paper took a shot just at the point where I’m looking grim, pointing at the music, trying to get her to pay attention, and she’s got her arms thrown up in the air, really cutting up! [Both laugh] Really, it tells the story. So we do things like that. BD: Have you made a video of this? IK: I would love to! It just hasn’t happened, not in a professional way. We’ve found that the kids enjoy this kind of thing, and they have to get something out of it. Only a few concepts are given to them, including why you would want to have two people sitting at one piano — a little uncomfortable, no? Yes! And then imagine that there’s no electricity. Imagine there are no CD players, no TV, no computer! It is hard for them to understand that if you want to make music, you have to do it yourself. You’re not a passive audience; you do it yourself! BD: People aren’t making music at home anymore. Everyone used to play piano a little bit. Now they’re not; they’re playing the phonograph. IK: Yes, yes! We try to show how much fun it is to play with another person. Playing the piano solo is a very lonely business. Practicing is a lonely business, and that we have to do solo. But playing together is a wonderful give and take! There’s nothing quite like it. BD: I’m an old bassoon player, and I used to play duets with a cellist or a flutist. IK: Sure, then you know. BD: It was lots of fun, much more fun than just practicing scales and tonguing exercises. One last question. In the end, is it all worth it? IK: [Laughs] I recall the point that I turned professional. I wasn’t making money and my parents were absolutely incensed that their little boy was going off and doing something that they could not countenance! One of the funnier things was there were a lot of people who remembered my father and his singing, and heard him at the Metropolitan. They would say to me, “Oh, Kipnis. Are you any relation of the singer?” I would be very proud of that, but there also comes a time when you hear it a little bit too often, and you begin to think, “What am I, chopped liver?” Then it reversed itself. Suddenly my father was asked question, “Are you related to the harpsichordist?” Well that, of course, makes you feel good, and I know that he was very proud of me. One needs a certain amount of stimulation like that. You need some feedback. Was it all worth it? Without question. Is it hard? Would I do it again? I think I’d be too stupid if I didn’t, and I’d probably be too stupid if I did. But I would do it again, yes. I don’t regret any of it, as difficult as it has been. I’ve been very lucky. BD: Good. Thank you so much for this conversation. IK: It was good. I enjoyed your questions. 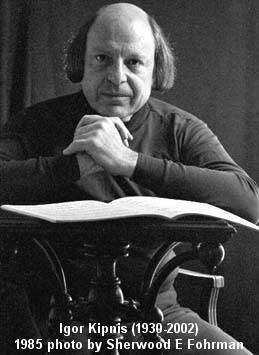 February 3, 2002 — Igor Kipnis, virtuosic harpsichordist, prolific critic, and esteemed teacher died January 23. He was 71. According to his managing agency, Marilyn Gilbert Artists Management of Toronto, he had been suffering from cancer. Kipnis, the son of Metropolitan Opera bass Alexander Kipnis, was born on September 27, 1930 in Berlin, where his father was singing with the Berlin State Opera. Although Jewish, the elder Kipnis was popular in Germany during Nazism's rise to prominence. Employing the stratagem of a vocal injury, the elder Kipnis fled Germany for Austria. When the Nazis annexed that country, the family was touring Australia. They moved to the US just prior to the country's entrance into WWII. 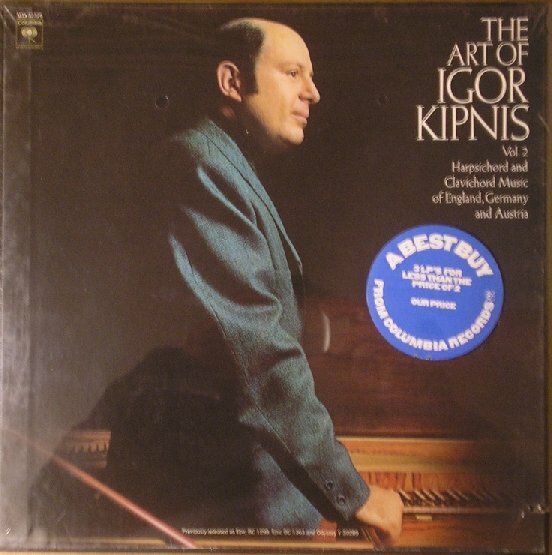 As a young man, Igor Kipnis was an enthusiastic record collector. "The family phonograph loomed large in my early years," he said. His passion for the harpsichord came about, in fact, as a result of his record collecting. Having purchased Edwin Fischer's epochal recording of Bach's Well-Tempered Clavier, he was irritated to discover it contained, as "filler," Wanda Landowska's harpsichord performance of the composer's second English suite. 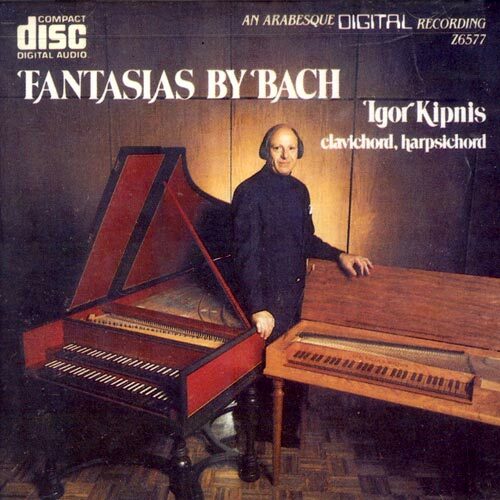 "As it turned out," Mr. Kipnis later reported, "this apparent rip-off soon fascinated me more than any of the many Bach piano discs I had, and I longed to try a harpsichord in the flesh sometime." He fulfilled that fantasy at college—Harvard, where he majored in social relations. In 1957, while he was employed at Westminster Records, where he was in charge of covers and liner notes, his parents presented him with a small harpsichord they had obtained in Europe. 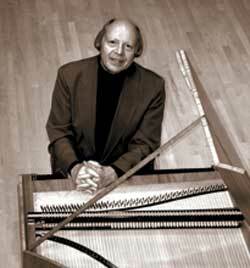 Kipnis essentially taught himself to play the harpsichord and developed many of his signature techniques on his own. He "traded" lessons with Fernando Valenti, another early champion of the instrument, exchanging lessons for meals cooked by Kipnis' wife, Judith Robison. According to Mr. Kipnis, his father was his major musical influence. He learned a huge repertory accompanying his father's students on the piano. Even more important than this exposure to the literature, he claimed, was the way it taught him the importance of a singing line. His father also "advised me to talk to audiences in my concerts, just as he had done so often in his American tours." 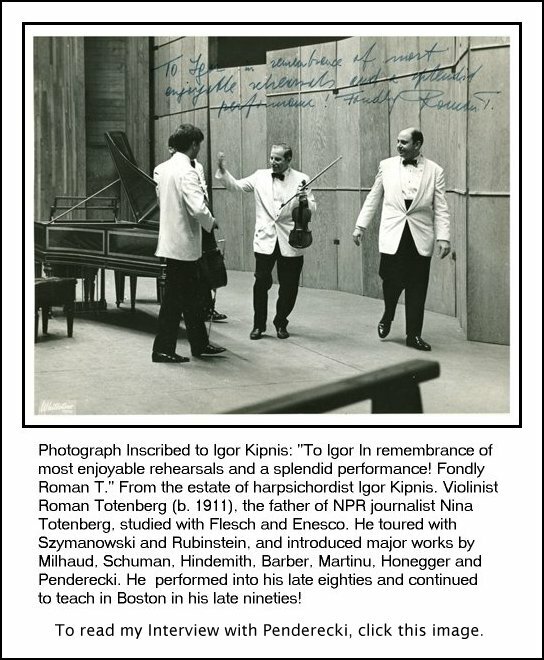 Mr. Kipnis made his debut in 1959 and made a living as the "go to" continuo harpsichordist for a variety of New York–based Baroque and Renaissance performance ensembles. It was at this time that he began writing criticism professionally—another vocation he continued to practice over the years, as a music critic and contributing editor for The New York Herald Tribune, Stereo Review, Stereophile, and Fi. Mr. Kipnis' records were well-received by the public and critics alike. He recorded over 80 albums for CBS, Angel, Fontana, and Arabesque. His approach was stylish and intimate, almost conversational, and he knew how to get the most out of his instrument's limited dynamic range. "The harpsichord surprises people," he said. "They expect it to be wearing a wig and belonging in somebody's attic. I try to bring it out of the attic." He once referred to himself as "your basic cocktail harpsichordist," because he would perform in unstuffy venues, such as college cafeterias, using amplification while maintaining a running commentary. He claimed one of his harpsichords—a French-style instrument he liked to pack into his van and tour with—had more miles on it than most cars. In later years, he also performed on clavichord and fortepiano—and even the contemporary piano. 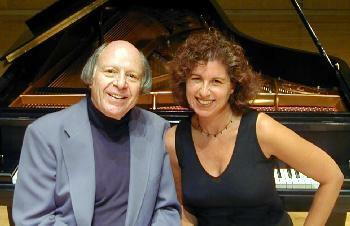 In 1995 he formed a duo with Karen Kushner, playing four-handed music in concerts and recitals. In 1971 he took a fulltime faculty position at Fairfield University in Connecticut, cutting back on his touring schedule. He was president and artistic director of the Friends of Music of Fairfield County for five years, artistic director of the Connecticut Early Music Festival for 13 years, as well as head of Tanglewood's Baroque department. He also taught at Harvard, the Peabody Institute, and the Mannes School of Music, among other educational institutions. Mr. Kipnis is survived by a son, Jeremy, a highly regarded recording engineer, and a world that, in no small part because of his life's work, no longer finds the harpsichord a curiosity, but rather a valued voice in the authentic and serious recreation of Baroque and Renaissance music. Alexander Kipnis (February 13 [O.S. 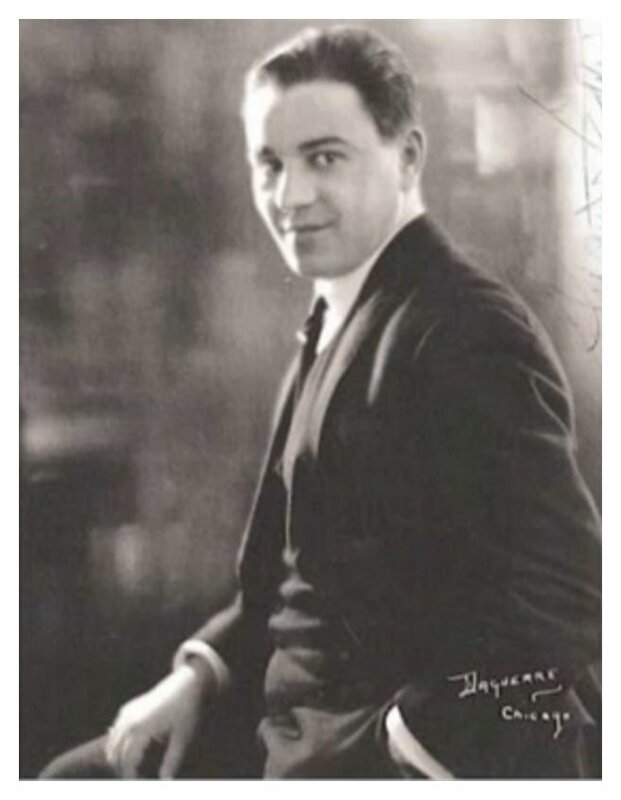 February 1] 1891 – May 14, 1978) was a Russian-born operatic bass. Having initially established his artistic reputation in Europe, Kipnis became an American citizen in 1931, following his marriage to an American. He appeared often at the Chicago Opera before making his début at the Metropolitan Opera in New York City in 1940. Aleksandr Kipnis was born in Zhytomyr, the capital of the Volhynian Governorate, in the Russian Empire (now Ukraine). His impoverished family of seven lived in a Jewish ghetto. After his father died, when he was aged 12, he helped support the family as a carpenter's apprentice and by singing soprano in local synagogues and in Bessarabia (now Moldova) until his voice changed. As a teenager he took part in a Yiddish theatrical group, until he entered the Warsaw Conservatory at age 19. The conservatory did not require a high-school diploma. His education included the study of the trombone, double bass and conducting. All the while he continued to sing in synagogues. On the recommendation of the choirmaster, he traveled to Berlin and studied voice with Ernst Grenzebach who was also a teacher of Lauritz Melchior, Meta Seinemeyer, and Max Lorenz. At the same time he sang second bass in Monti's Operetta Theater. When the First World War started, Kipnis was interned as an alien in a German holding camp. While singing to himself he was overheard by an army captain whose brother was general manager of the Wiesbaden Opera. Kipnis was released from custody and he was engaged by the Hamburg Opera. He made his operatic debut in 1915, singing three Johann Strauss songs as a "guest" in the party scene of the operetta Die Fledermaus. In 1917, he moved to the Wiesbaden Opera, having gained invaluable stage experience. He sang in more than 300 performances at Wiesbaden until 1922, when he joined the Berlin Staatsoper. The following year Kipnis visited the United States with a touring Wagnerian company. For nine seasons, between 1923 and 1932, he was on the roster of the Chicago Civic Opera. In 1927, at the Bayreuth Festival, he appeared as Gurnemanz in Wagner's Parsifal under Karl Muck and recorded the Good Friday Music under Siegfried Wagner. (A purported live performance recording in 1933 under Richard Strauss has been generally discounted.) He also appeared at the Salzburg Festival. Kipnis was under contract with the Berlin Opera until 1935, when he was able to break his contract and flee Nazi Germany. 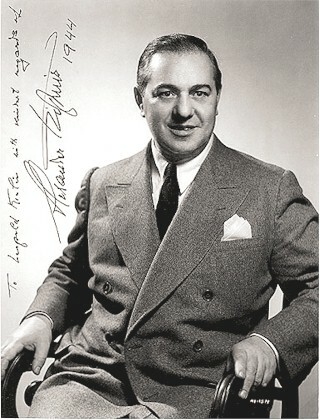 He appeared for three seasons as a guest performer with the Vienna State Opera in 1936-1938. Just after the Anschluss he left Europe and settled permanently in the United States. By the time he was finally signed by the Metropolitan in 1940 he had appeared in most of the world's major opera houses. In addition to those European and American theatres already mentione, he was heard at the Royal Opera House, Covent Garden, (in 1927 and 1929–1935), and also at the Teatro Colón in Buenos Aires (1926–1936). Kipnis was regarded throughout the inter-war years as being one of the greatest basses in the world. He was praised for the beauty of his smooth and mellow voice and the excellence of his musicianship. As befitted his status, he was invited to appear with the top conductors of his day. He retired from the Met in 1946. He made his last concert appearance in 1951. Since his debut in 1915, he had sung at least 108 roles, often in more than one language, and his performances in opera and oratorio numbered more than 1600. He died in Westport, Connecticut in 1978, aged 87. 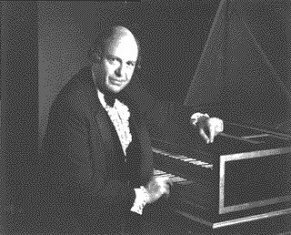 Kipnis' son Igor Kipnis (1930–2002) was a celebrated harpsichordist. Following in similar creative footsteps, Kipnis's grandson, Jeremy R. Kipnis (born 1965), has become known as a photographer, record producer, film director, and recently creator of The Kipnis Studio Standard - The 21st Century Ultimate Screening Room Design, an evolution of George Lucas's and Tom Holman's THX Motion Picture & Sound Standards. This interview was recorded in Evanston, IL, on April 5, 2001. Portions (along with recordings) were used on WNUR one year later. This transcription was made and posted on this website in 2010.